If your business owns space in which you want to advertise your business but don’t have poles to attach our usual banner bracket hardware, then outdoor signage with outdoor ground stands is the way to go. Our GMS Messenger stands are perfect for anywhere that your business might get foot traffic. 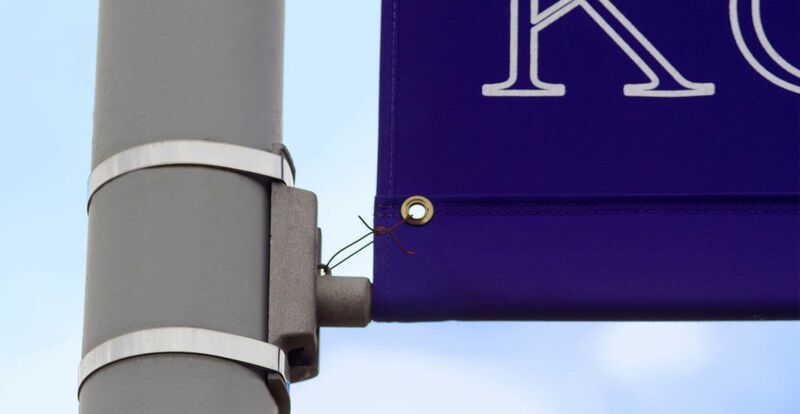 If there are people to see it, your sign is sure to catch their attention. 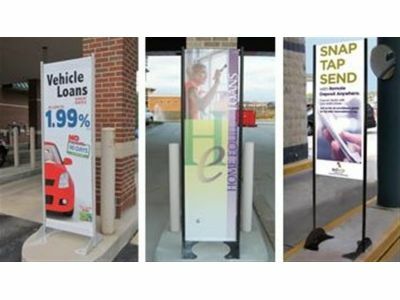 Whether from space restrictions or your preference of sizing you may want for your outdoor stand, BannerFlex offers multiple options for different widths on your signs. From 16” wide all the way to 24” wide, BannerFlex has the choices that you need to fit your different banners. Each outdoor stand unit can hold either 72” or 48” tall graphic banners as well, so your variety of banners capable of fitting on our outdoor stand is extensive. The strong aluminum stand and base of the BannerFlex outdoor stands are built strong and made to last you for years to come. The base can be permanently bolted to concrete, wood, or any other suitable material so that your sign won’t be affected by the weather. Every sign is specifically designed to be permanently installed outdoors, so you know that your sign will hold strong against the elements. Every tall banner from BannerFlex can have custom stand colors applied to it, so you can give your stands the personal touch of matching the colors of your business. With the ability to match the stand color with your banner color, or give a nice complimentary color scheme to them, your stands will catch the eyes of everyone near them. With over 30 years of experience, BannerFlex has the knowledge and tools to bring attention to your event, location, or business. Built with strong, dependable materials, the stands and banners from BannerFlex are the advertising assistant you need.